Congratulations to Conrad Ray and Phil Rowe as they inked 3 new recruits starting 2014, and welcome to three fine student-athletes who will be coming to the farm. I enjoyed the humor of Bradley Knox in the photo below when choosing from 3 hats to select his college on signing day. 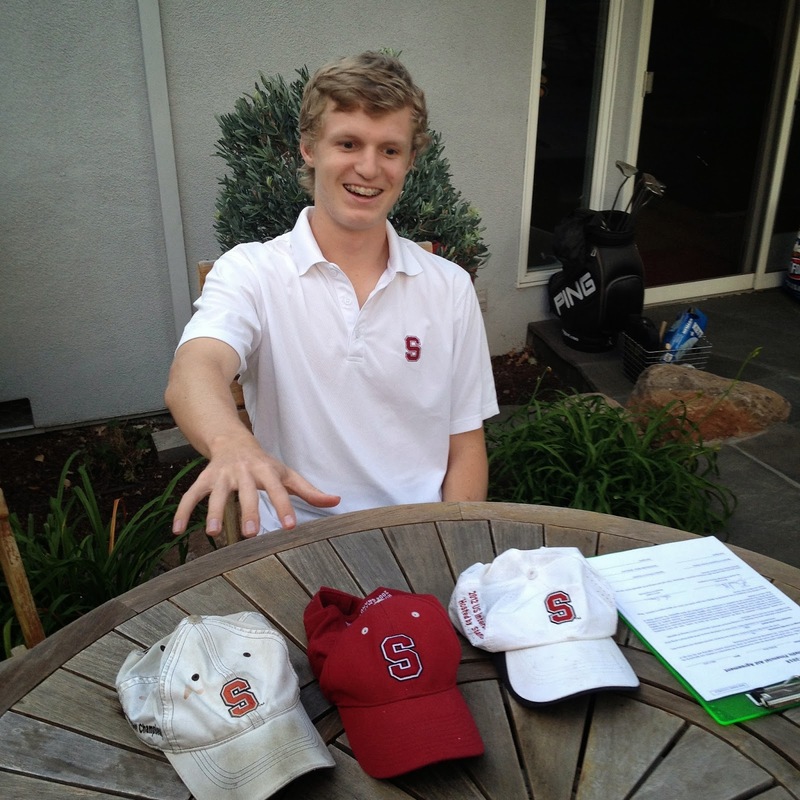 11/20/13 -STANFORD, Calif. – Knowles Family Director of Men’s Golf Conrad Ray announced Wednesday that three of the nation’s top high school student-athletes have chose to continue their academic and athletic careers on The Farm, each signing a National Letter of Intent to attend Stanford beginning in the fall of 2014. Franklin Huang (Poway, Calif./Rancho Bernardo), Bradley Knox (Menlo Park, Calif./Sacred Heart), and Jeffrey Swegle (West Des Moines, Iowa/West Des Moines Valley) all made their official commitments to the Cardinal during the early signing period. Bradley Knox on signing day - which school to pick? 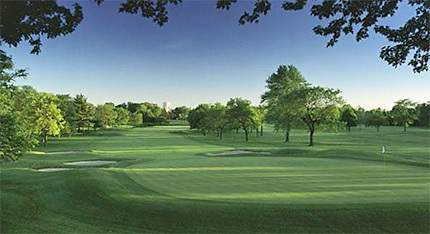 venue for the team, played on an exclusive private course in Dallas, Texas in an event hosted by the 19th ranked Baylor team. Second, the format includes 6 players competing for 5 low scores each round. Third, the first day will include 36 holes in this two-day event. Fourth the lineup includes for the first time, highly touted freshman Viraat Badhwar from Australia, who has been dealing with a wrist injury that has kept him from competing until now. The 12-team field includes #3 Texas A & M, #5 Oklahoma State, #13 Oklahoma, #16 New Mexico as well as SMU, Iowa, and Ohio State. 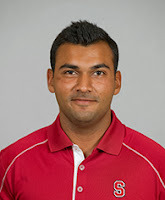 Stanford's team includes Cameron Wilson, Patrick Rodgers, David Boote, Patrick Grimes and freshmen Jim Liu and Viraat Badhwar. Cameron Wilson (69-67-70 208) and Patrick Rodgers (70-71-65 208) tied for 8th at 7-under par 206, David Boote (70-67-71 208) continued his fine play tying for 13th at 208, freshman Jim Liu (68-72-73 213) tied for 29th after another good showing, Patrick Grimes (72-71-71 214) had a solid event as he tied for 32nd while freshman Viraat Badhwar 72-70-73 215) in his collegiate debut contributed with a 215 total to tie for 37th. Patrick's standout final round 65 included 8 birdies and 2 bogies. Cameron completed his excellent fall season with another top 10 result leading to his team leading 70.33/round stroke average. See full individual and team results for the fall season. It was an encouraging event showing that Stanford has good depth to draw on when the spring season gets underway in Hawaii. Stanford sits in 2nd place, 6 shots behind Oklahoma State heading into the final round today. Weather forecast is for highs near 80 with winds from 10-20 mph. 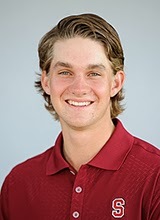 Scoring was low at Royal Oaks on day one as Stanford was led by Cameron Wilson who is tied for 3rd on rounds of 69-67. Cameron sits 5 strokes behind leader Kevin Dougherty from Oklahoma State who fired a 63 in his first round. David Boote is tied for 6th with 70-67, Patrick Rodgers on rounds of 70-71 is tied for 26th, freshman Viraat Badhwar is next tied for 33rd with 72-70 and Patrick Grimes is tied for 37th with 72-71. Viraat was at 5-under thru 13 holes on his 2nd round until derailed by two late bogies and a double bogey to end the day 1-under par. No doubt low scoring in the final round will be required to overtake the strong OSU squad. 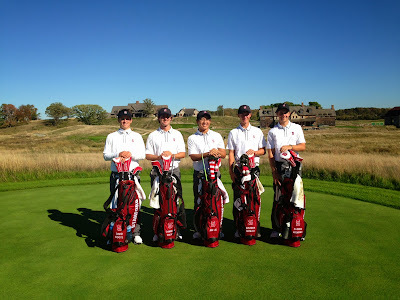 The same Stanford 5 (Rodgers, Wilson, Boote, Liu and McNealy) who just won at Erin Hills compete in what some have called the Masters of College Golf, the US Collegiate Championship held in Alpharetta, Georgia. The strong field of 15 teams includes host #2 Georgia Tech, #4 Washington, #6 Oklahoma State, #7 UCLA, #11 Stanford, #16 Texas A&M, #19 Kent State, #20 Auburn, #23 USC and #25 Duke plus Virginia, Clemson, Iowa, Wake Forest and East Tennessee State. FINAL RESULTS (article by Alan George of GoStanford.com) - recommend reading the excellent recap by the Stanford Daily. A two-over-par 290 on the third and final day of the United States Collegiate Championship earned the ninth-ranked Stanford men’s golf team a tie for seventh. The three-day event at The Golf Club of Georgia’s Lakeside Course saw the Cardinal post collective scores of 288-288-290 (866). Patrick Rodgers started the third round tied for 41st, but was the low man Sunday with a 67 to finish 2-under on the weekend. Rodgers (75-72-67, 214) tied with Cameron Wilson (69-71-74, 214) for 15th overall. Stanford will travel to the Royal Oaks Intercollegiate (Oct. 28-29) in Dallas to wrap up its fall season. David Boote (69-74-74, 217, +1) tied for 29th as Jim Liu (79-71-75, 225, +9) and Maverick McNealy (75-74-76, 225, +9) tied for 60th through three rounds on the par-72, 7,017-yard course. Rodgers final round 5-under was without a bogey. The All-American was 4-over on the front nine to open the tournament and responded with respective front nine performances of 2-under and 3-under on his way to the top-15 finish. Wilson was 4-over through 11, but rolled in birdies on three of the next seven holes to close his final round with a 2-over 74. Fifth-ranked Oklahoma State captured the team title by one stroke over defending champion Georgia Tech. The Cowboys nearly were tied at the finish by the second-ranked Yellow Jackets, but Georgia Tech’s Ollie Schniederjans missed an eight-foot birdie putt at the 18th hole, giving Oklahoma State the win at 15-under 849. Schniederjans was the individual champion at 10-under 206. The victory also earned him a tournament exemption for Web.com Tour’s Air Capital Classic next June. Virginia’s Ben Rusch was second in the individual race at 6-under 210, followed by Georgia Tech’s Anders Albertson at 5-under 211. Wake Forest finished third at 2-under 862, followed by No. 14 Virginia (863). Third-ranked Texas A&M and No. 17 UCLA shared fifth place at even-par 864. The Cardinal moved up one spot to 7th, 9 strokes behind Oklahoma State after a 2nd even par 288 total. The tightly bunched leader board finds Stanford only 3 behind 3rd place UCLA. Cameron Wilson and Jim Liu led the way with 1-under par 71s while Patrick Rodgers had 72, David Boote and Maverick McNealy each shot 74. Patrick's round was marred by a double on the par 5 finishing hole while Maverick had a triple on the par 3 13th hole. Cameron is tied for third overall (69-71 140), David is tied for 20th (69-74 143), Patrick is tied for 41st (75-72 147), Maverick is tied for 51st (75-74 149) and Jim is tied for 59th (79-71 150). The individual leader from OSU is 5 strokes ahead of Cameron at 9-under 135 after rounds of 66-69. Stanford used the efforts of David Boote and Cameron Wilson to put itself in the middle of the 15-team pack Friday through the first round of the United States Collegiate Championship. The Cardinal pair each notched a 3-under 69, while Stanford sat in eight place after its first trek through the 7,017-yard, par-72 Lakeside Course. Boote was even heading into the par-5 ninth, and then came away with an eagle on the 540-yard closer. Boote also birdied the par-5, 564-yard 18th. Wilson had a pair of birdies on both the front and back nine. The lone bogey came on the par-4, 432-yard 14th. Wilson birdied two of the next three to end the day. Defending champion Georgia Tech exploited perfect scoring conditions at The Golf Club of Georgia and grabbed the first-day lead of by five shots over Oklahoma State. The host Yellow Jackets compiled a 9-under 279, led by Ollie Schniederjans, whose 6-under 66 shared the individual lead with Virginia’s Ben Rusch. Despite rain-softened greens and windless conditions, defending individual champion Patrick Rodgers recovered from a 4-over front nine to close with a bogey-free back half. Rodgers nabbed a 3-over 75 while tying for 38th with Maverick McNealy. Jim Liu logged a 7-over 79, hindered mostly by a triple bogey on the 12th hole. Liu started the round 1-under through three with the assistance of looper Conrad Ray. The first-round stroke average was 73.33, with 34 players at par or better. The final two rounds of the 54-hole tournament will be streamed live starting at noon (PT) on Saturday and Sunday at GoStanford.com. QUOTES from gostanford.com --- Knowles Family Director of Men’s Golf Conrad Ray previews the U.S. Collegiate Championship …“We’re excited about where this team is headed. They have been working hard and the results will follow. We have had some great contributions across the lineup this fall and we’re looking for that to continue. “We’ll be on the road this weekend against a good field for an excellent test of golf.” Defending champion in this event at 7-under 209 Patrick Rodgers says --- “Playing out here, with the difficulty of the golf course, the crowds, the skyboxes around the 18th green, it really is like playing in a PGA Tour event,” said Rodgers after winning the 2012 title. Stanford wins the team title and Patrick Rodgers the individual title at Erin Hills in Wisconsin! The 2017 US Open venue, Erin Hills GC, is the site of the Marquette Invitational. Stanford's team includes two of its highly touted freshmen class, Jim Liu and Maverick McNealy, who will be playing in their first collegiate events. Remaining team members include two-time First Team All-American Patrick Rodgers, Cameron Wilson coming off his first win at Olympia Fields, and top returning sophomore David Boote. Hosted by Marquette, two other Pac 12 teams are in the field including 3rd ranked UCLA and Oregon State. Stanford carries an 8th place ranking at this time. Other teams in the field include a ranked Oklahoma squad, Michigan, Wisconsin and an always solid Northwestern team. Patrick Rodgers wins the individual title by 3 strokes at 7-under par on rounds of 68-72-69 209. This is Patrick's 6th career win in just over two seasons, putting him in 3rd place in Cardinal history behind only Tiger Woods (11) and Joel Kribel (7). Cameron Wilson (69-72-73 214) tied for 6th with David Boote (71-72-71 214) while freshman Jim Liu ties for 10th place (72-69-74 215) in his first collegiate tournament despite posting a 10 on the par 5 first hole and a 7 on the par 5 18th hole in his final round. Freshman Maverick McNealy had a strong debut as well as he tied for 25th on rounds of 72-74-73. The freshmen including Viraat Badhwar who's waiting in the wings to make his college debut are provided important depth and talent to the team's lineup making the prospects very positive going forward. ROUND 2 RECAP: weather in the low to high 50s, partly cloudy, with gusty winds to about 12 mph. The Cardinal extended its lead to 11 strokes over SMU (and 15 over 3rd place teams) with the day's best team score of 3-under 285 (280-285 565). Patrick Rodgers remains tied for 1st individually (68-72) with Cameron Wilson (69-72) and Jim Liu (72-69) tied for 3rd only one stroke behind. David Boote (71-72) is tied for 6th overall and Maverick McNealy (72-75) is tied for 25th. Freshman Jim Liu's 3-under 69 tied for the day's low round as he had 4 birdies and only one bogey. Patrick's steady round included two birdies and two bogeys while Cameron had 3 bogies offset by an eagle and a birdie. The individual highlight of the day was a hole in one by David Boote (see photo below) on the 208 yard par 3 sixth hole leading to his even par showing. Maverick McNealy's round was only marred by his 4-over par play on the par fives as he tallied 4 birdies. Top 5 team scores and scorecards are shown below. ROUND 1 RECAP: weather low 50s with light winds. After round 1 Stanford leads the field by 6 strokes with a team total of 8-under 280. There was solid play by all 5 players, led by a 4-under 68 by Patrick Rodgers, who is tied for 1st individually. The consistency of Stanford's play was shown in that all 5 players had only a total of 7 bogies on the day, more than offset by 13 birdies and an eagle. Cameron Wilson shot 69 (T3), David Boote (T7) had 71 while freshmen Jim Liu (T16) and Maverick McNealy (T16) had par 72s. Senior Cameron Wilson captured his first individual title with a final round 70 to tie for medalist honors against a strong field. 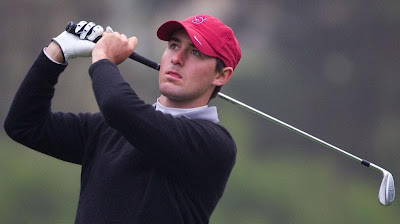 Over a tough, major championship caliber golf course in Olympia Fields, Cameron finished at even par 210 (75-65-70) to lead the Cardinal to a 5th place finish, 23 strokes behind the blazing hot Alabama team but only 5 strokes behind 2nd place Texas. Final team standings and individual scoring is shown below. Patrick Rodgers tied for 21st (73-71-75 219), David Boote finished strong with a final round 70 (72-78-70 220) to tie for 23rd, Patrick Grimes tied for 53rd (75-77-75 227) and Dominick Francks tied for 61st (77-74-78 229). Led by a superb 65 by Cameron Wilson, the tournament's low round by 2 shots, Stanford moved into a tied for 4th place only 3 behind 2nd place Texas. Alabama is lapping the field 24, leading by 21 strokes. 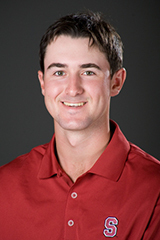 Cameron (75-65) moved into a tie for 2nd with his 5-under round that included 5 birdies and no bogies. Defending champion Patrick Rodgers (73-71) is tied for 11th, David Boote (72-78) is tied for 39th, Dominick Francks (77-74) is tied for 42nd and Patrick Grimes (75-77) is tied for 51st. OLYMPIA FIELDS, Ill. – Stanford men’s golf team opens the 2013-14 season at the Olympia Fields/ Fighting Illini Invitational, held at the Olympia Fields Country Club North Course, a Par 70, 7,177 yard course. The North Course has been selected by the United States Golf Association as the site of the 2015 U.S. Amateur Championship, to be played August 24-30. Designed by Willie Park and opened in 1923, the North Course was the site of three previous USGA championships: the 1928 U.S. Open (won by Johnny Farrell), the 1997 U.S. Senior Open (won by Graham Marsh) and the 2003 U.S. Open (won by Jim Furyk). It also hosted the 1925 and 1961 PGA Championships. The South Course, a 1915 Tom Bendelow design that recently underwent a major restoration by Steve Smyers Golf Course Architects, recently hosted the 2011 U.S. Girls’ Junior Championship and the 2012 Jr. Ryder Cup. COLUMBUS, Ohio - After posting a final round 14-over-par 298, Stanford finished in seventh on Saturday at the NCAA D1 Men's Golf Regional to miss advancing to the finals. On the par-71 Scarlet Course, the top-five teams who will head to the NCAA Championships, in order of finish, are No. 5 (Golfweek) New Mexico, No. 19 Auburn, No. 23 South Carolina, No. 30 UNLV and No. 39 Texas Tech. The Lobos (294-293-283), won the regional title at 18-over 870, while the Tigers (293-293-286) and the Gamecocks (288-296-288) tied for second at 872. The Rebels (292-292-294) came in third at 878 and the Red Raiders (299-288-292) finished fifth at 879. The No. 10 Cardinal (291-295-298) trailed Texas Tech by five strokes, recording 884 overall. "Extremely tough to not be moving on," said The Knowles Family Director of Men's Golf Conrad Ray. "The guys had a great season, and unfortunately it came down to today's round and we ended up on the outside looking in. This group worked really hard all season and they should be proud of their accomplishments." Patrick Rodgers (72-72-76) recorded a top-20 finish, tying for 18th at seven-over-par 220. The sophomore, who led the team in the second round and was tied for sixth individually, did not make a single birdie today. After opening with a 77 and following with a 75, Andrew Yun finished with a final round 70 for the team low for the day. The senior made birdies on the second and 11th holes, giving one stroke back with a bogey on the 14th. "We are all still disappointed about not making it to nationals, but golf is a hard and cruel game," said Yun who tied for 25th at 222. "It wasn't our best week and it came at the wrong time." Tying for 34th at 223 were freshman David Boote (76-73-74) and junior Cameron Wilson (70-75-78). Senior Steve Kearney (73-80-78) tied for 63rd at 231. "Looking at the past season, there are so many positives," Yun said. "Patrick with three solid victories, Cameron with his amazing 61, David with his extremely solid fall campaign, Steven with his 67 and tied for fourth place finish in Hawaii, and our team win at home. I'm so proud of the guys on the team and even though our hard work didn't pay off this week, it will in the future." The good news is that he Cardinal team is tied for 3rd after two rounds, only two strokes behind the leading two teams. The bad news is that the top 6 teams are only separated by 3 strokes so the pressure will be on to make the top 5 required to qualify for the national championship. Patrick Rodgers matched his first round 72 and sits tied for 6th (72-72 144) individually, followed by Cameron Wilson (70-75 145) who is tied for 10th. The overall individual leader is at 140. David Boote with rounds of 76-73 149 is tied for 25th, followed by Andrew Yun tied for 45th at 77-75 152 with Steven Kearney tied for 56th after rounds of 73-80 153. COLUMBUS, Ohio - After firing a seven-over-par 291, Stanford checked in third during the first round of the NCAA D1 Men's Golf Regional hosted by Ohio State on Thursday at the Scarlet Course. The No. 10 (Golfweek) Cardinal trailed four strokes off No. 68 Charlotte, who leads the tournament at 287. For second, No. 23 South Carolina posted a 288. One stroke behind Stanford in fourth was No. 30 UNLV at 292, while Auburn rounded out the top five at 293. "We didn't play our best round today but we didn't play horribly," said The Knowles Family Director of Men's Golf Conrad Ray. "Teams who make it will play more consistently." early birdie on the par-4 third hole and went one under through 14 holes. Wilson went on to make another birdie on the par-4 15th to go two under, but gave one shot back after a bogey on the 17th. Two shots behind Wilson was Patrick Rodgers, who tied for 10th at 72. Rodgers opened with a birdie on the first and fourth holes to go two under. Then a streak of bogeys on the fifth, seventh and eighth pushed him back at one over through the front nine. "All three holes I flagged irons and flew the green," Rodgers said. "The ball was going a long way today and I had to make the adjustment." A birdie on the 10th, however, placed Rodgers even. After paring the next three holes, the sophomore had back-to-back bogeys on 14 and 15. He gained a stroke with a birdie on the par-4 16th. "These greens are really tricky, and I got fooled with a read on 14 and speed on 15 and 3-putted both greens," Rodgers continued. "I kept telling myself that I was playing well and if I could get three more birdie putts to finish the day that I would make one of them. On 16, I hit a wedge to about 12 feet and made a nice putt to bounce back a bit." Steve Kearney managed to go even through 14 holes. Kearney, a senior, tied for 16th with a 73 after a late double bogey on the 15th. Rounding out the lineup are freshman David Boote who tied for 46th at 76 and senior Andrew Yun who recorded a 77 tying for 53rd. "The golf course is playing tough and is very demanding," Rodgers said. "I'm sure the greens will be quicker, the pins tougher and the rough is only getting longer. It's not a course that you can go out with a number in mind. 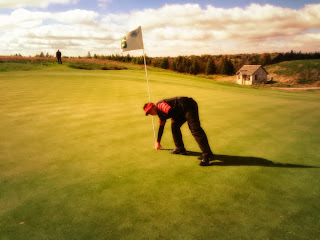 It requires diligence and patience on each shot, and hopefully after 18 good holes we can move up the board a bit." Six 54-hole regional competitions will be conducted with 13 teams and 10 individuals at three regionals while the other three regionals will have 14 teams and five individuals. The low five teams and the low individual not on those teams from each regional will advance to the finals at The Capital City Club, Crabapple Course hosted by Georgia Tech on May 28-June 2. By two strokes Stanford edged Arizona State to finish fourth at 54-over-par 1454 on Wednesday at the men’s golf Pac-12 Championships at the Los Angeles Country Club. Throughout the tournament, the top three teams on the leaderboard remained the same. After a 12-under-par opening round, top-ranked (Golfweek) California took the lead and the title, notching a six-over 1406 (338-357-361-350). No. 5 UCLA (346-358-354-357) took second at 1415 and No. 7 Washington (349-360-369-354) finished third. Hats off to Cal for finishing off a record breaking season with the most team wins ever in NCAA history. The 8th ranked Cardinal (366-361-365-362) started and finished in fourth. Heading into the final round today, however, Arizona State (368-362-354-372) had an eight-stroke lead but Stanford came back and fired 12 over while the Sun Devils shot 22 over to finish in fifth. Cameron Wilson (71-70-69-73) finished in ninth at 283. The senior managed to lead the Cardinal in the second and third rounds, completing a solid top-10 performance. First-round leader Patrick Rodgers (68-72-73-74) tied for 11th with 287. Through the front nine, the sophomore was even after pairing a bogey on the fourth with a birdie on the sixth. But in the back nine Rodgers let four shots go. 68 after firing four birdies and two bogeys. The senior (79-71-74-68) tied for 24th overall. Two shots behind Kearney was senior Andrew Yun (72-76-75-71) who tied for 29th at 294. Yun, who won the Pac-12 Championships last year, fired his best round of the tournament today, going one over after two bogeys and a birdie. He pared all the holes in the back nine. Freshman David Boote (76-72-76-76) tied for 45th at 300, while junior Shane Lebow (81-76-74-82) tied for 66th with 313. LOS ANGELES, Calif. - With a 15-over-par 365, Stanford moved one spot back to fifth after the third round on Tuesday of the men's golf Pac-12 Championships at the Los Angeles Country Club. The top three in the leaderboard remained the same with No.1 (Golfweek) California (338-357-361) leading the tournament at six-over 1056. Two strokes behind is No. 5 UCLA (346-358-354) in second at 1058, while No. 7 Washington (349-360-369) again took third at 1078. After shooting four over today, No. 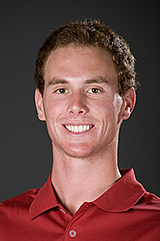 47 Arizona State (368-362-354) edged Stanford by eight strokes for the fourth spot at 1084. Rounding the top five is the No. 8 Cardinal (366-361-365) at 1092. 69. Through the front nine, the junior was one over and a bogey on the 13th put him two over. But Wilson (71-70-69) fired three consecutive birdies on 14, 15 and 16 to tie for seventh at 210. Also in the top-10 of the individual leaderboard was Patrick Rodgers (68-72-73) who is tenth at 213. The sophomore bogeyed the fourth, seventh and 11th holes, while paring the rest. "I was scrambling for par the entire round," Rodgers said. 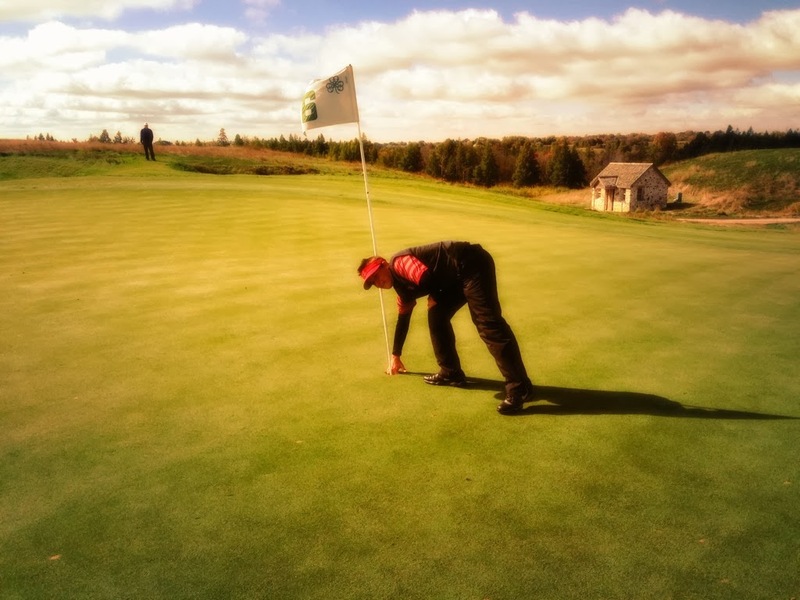 "I only had one birdie putt inside 10 feet, and it was hard to scramble and lag putt all day." After the round Rodgers worked on his ball striking and hitting fades. "A good round tomorrow would be a birdie on the first hole and then something well under par," Rodgers continued. "I haven't gotten off to a good start yet in this event. I need a good round to help move the team forward." Senior Andrew Yun (72-76-75) is 44th with 223. One stroke behind are freshman David Boote (76-72-76) and senior Steve Kearney (79-71-74) who are both tied for 45th with 224. Shane Lebow (81-76-74) finished two strokes better today to tie for 64th at 231. The fourth round begins at 8 a.m. (PT) tomorrow. Stanford tees off the first hole with Arizona State and Oregon. 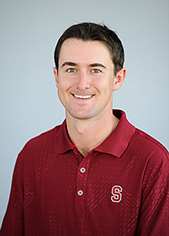 LOS ANGELES, Calif. - Stanford is fourth at 27-over-par 727 after two rounds on Monday of the men's golf Pac-12 Championships at the Los Angeles Country Club trailing the powerful three highly ranked teams, Cal, UCLA & Washington. Cal had a stunning first round led by Max Homa's brilliant 9-under par 61. The Cardinal opened the 36-hole day with a 16-over 366, claiming sixth as the 12-team field headed into the afternoon second round. The next 18 holes proved to be better. With a 361, Stanford moved two spots up the leaderboard. Top-ranked (Golfweek) California leads the tournament at five-under 695, after an opening 338 followed by a 357. No. 5 UCLA (346-358) checks in second with 704, while No. 7 Washington (349-360) claims third at 709.
five birdies and three bogeys to go two under on the first 18 holes. "Round one got off to a rocky start but I stayed composed and rolled in some putts," said Rodgers who holds a 70.4 stroke average in 29 rounds of competition. "I made a bad swing on 17 and hit in the hazard but managed a bogey and made a great birdie on 18 to a tough pin. All in all 68 was a solid opening round." During the second round, Rodgers made three birdies through the front nine, putting him one under. But three late bogeys pushed him back three strokes. "In round two I was right there heading into the back nine this afternoon and just didn't hit the ball very well," Rodgers continued. "I didn't have any good looks over nine holes and seemed to always have five or six feet for par. 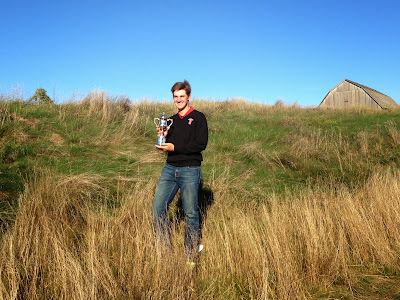 We were racing against daylight and time, so I was out of my rhythm a bit finishing my round." One stroke behind Rodgers is Cameron Wilson (71-70) who is tied for 11th at 141. His one-over first round came in second for the team, but it was his even-par second round that led the Cardinal. During the second round, Wilson birdied the first hole but bogeyed the third. He went on to birdie the sixth and bogey the ninth. Through the back, the junior pared the rest of his holes for a steady finish. For reigning Pac-12 Champion Andrew Yun, the day started with a 72, only going under once after firing an eagle on the par-4 sixth hole. The senior then finished the afternoon with a 76, tying for 42nd at 148. Freshman David Boote, also tied for 42nd, opened with a 76 and followed up with a 72. Two strokes behind Yun and Boote was senior Steve Kearney (79-71) who tied for 49th at 150. Rounding out the field was junior Shane Lebow (81-76) who scored 157 to tie for 67th. The third round begins at 8 a.m. (PT) tomorrow. The Cardinal tees off the first hole with Utah and Oregon State. "For tomorrow I need a good round to help lead a team charge and get back into the mix individually," Rodgers said. "I need to get off to a good start and make consistently good decisions to ensure a good result." LOS ANGELES, Calif. - After a solid spring campaign with a victory at the U.S. Intercollegiate, Stanford competes in the men's golf Pac-12 Championship on Monday through Wednesday at the Los Angeles Country Club. This 72-hole event tees off at 8 a.m. (PT) all three days off No. 1 and No. 10. On Monday, the second round will tee off at 1 p.m.
LA Country Club plays approximately 6,300 yards and to a par of 72. Andrew Yun, the reigning Pac-12 Champion, will be on a field that boasts five top-11 teams and 20 of the top-85 players in the nation. "It's going to take perseverance and a great short game for me to defend my title this week,"
said Yun, who was recently named the Pac-12 Men's Golf Scholar-Athlete of the Year. "There is a cliché that defense wins championships. I believe that a good short game is like a good defense." No. 8 (Golfweek) Stanford is joined by top-ranked California, No. 5 UCLA, No. 7 Washington and No. 11 USC. Rounding out the 12-team field are Oregon, Arizona State, Oregon State, Arizona, Colorado, Washington State and Utah. "The LA Country Club was designed by George Thomas who is the same architect of the Stanford Golf Course," said The Knowles Family Director of Golf Conrad Ray. "We're excited that we might see some similarities and be familiar with some contouring. It's a long course, so there's a lot of strategy in terms of hitting your golf ball in the proper place off the tee and around the greens to create the most opportunities." Ray starts a lineup featuring sophomore Patrick Rodgers, junior Cameron Wilson, senior Yun, freshman David Boote, senior Steve Kearney and junior Shane Lebow. Rodgers, who comes off a ninth-place finish at the Western Intercollegiate, has had six top-10 finishes in nine events including three season titles and five overall. He holds a 70.5 stroke average in 27 rounds of competition and is a Ben Hogan Award semifinalist. "Patrick plays tough golf courses and manages his golf ball well," Ray said. "He relies on his strong short game so that should all bode well for him." Yun, a Byron Nelson Award finalist, has had two top-10 finishes this spring, including a third-place showing at the 2013 U.S. Intercollegiate. "My mantra for this tournament is to have fun," Yun said. "I tend to lose patience as the tournament wears on because frustrations can build on each other. So after every shot, I'll tell myself to smile and talk with my playing competitors because talking helps me relax. After every round, I'll emphasize the positive things I have done so that I can utilize my strengths as the tournament progresses." "Andrew will be up for a very good tournament," Ray continued. "He's a great putter and chipper with the golf ball and with the course you have to get up and down a few times to make par." The rest of the Cardinal is rounding out in good form. Wilson's ball striking is strong. Boote plays consistently and makes a lot of pars. Kearney remains a solid contributor and Lebow, after a nice few rounds of qualifying, made the sixth slot. The Cardinal clinched the inaugural Pac-12 title in 1960 and has since won the conference championships in 1968, 1970, 1974, 1977, 1992 and 1994. Stanford's Pac-12 Champion alumni have been Pete Choate (1960 and 1962), S. Adelman (1969), Mike Peck (1977 and 1978), Jack Skilling (1980), Don Walsworth (1986), Christian Cevaer (1989 and 1992), Tiger Woods (1996), Jim Seki (2002) and Andrew Yun (2012). "Last year I was hitting the ball extremely well coming into the Pac-12s," Yun said. "I just needed to find my putting touch. I remember switching grips to a cross-handed grip in the middle of my first round and it all clicked. I made a lot of putts for the rest of the week." "I also remember an important game-changer in the final round," Yun continued. "I was one over after three early bogeys. On the eighth hole, I hit a pitching wedge from about 120 yards to a left pin. It landed a couple of feet in front of the pin and then hit the pin and dropped for an eagle! That changed the momentum and gave me the confidence to finish strong. I remember telling myself to stay aggressive. I didn't want to put my foot off the pedal until the last putt dropped."